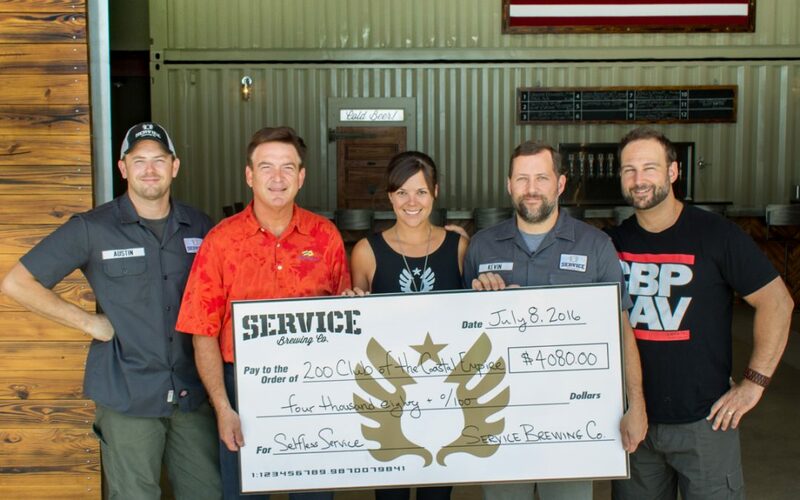 Thank you Service Brewing, Co. for your generous donation of $4080.00! Service Brewing, Co. selected the 200 Club as their Seasonal Charity, March 5th to June 10th along with the launch of their new beer, Old Guard Biere de Garde. $1 dollar from every Tasting Room Tour during the season was donated to the 200 Club. Service Brewing partnered with three other local businesses, the Crystal Beer Parlor, Whole Foods, and Ruth Chris Steak House, to raise awareness and additional fu…nds, $300 from each of the local businesses. Tasting Room Tours are Thursdays and Fridays from 5:30 to 7:30 and Saturdays 2:00 to 4:00. Service Brewing Company continues to give back to the community by supporting various local charities; their new charity is The Tiny House Project for Homeless Veterans. They are true heroes of the Savannah Area.